Could it be? 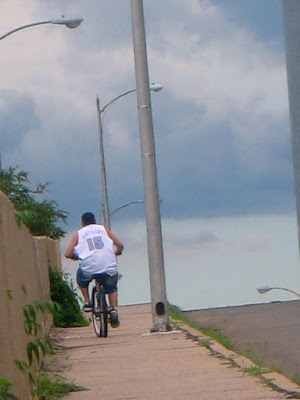 Really, could it be Carmelo Anthony riding a bicycle in Pueblo, CO? 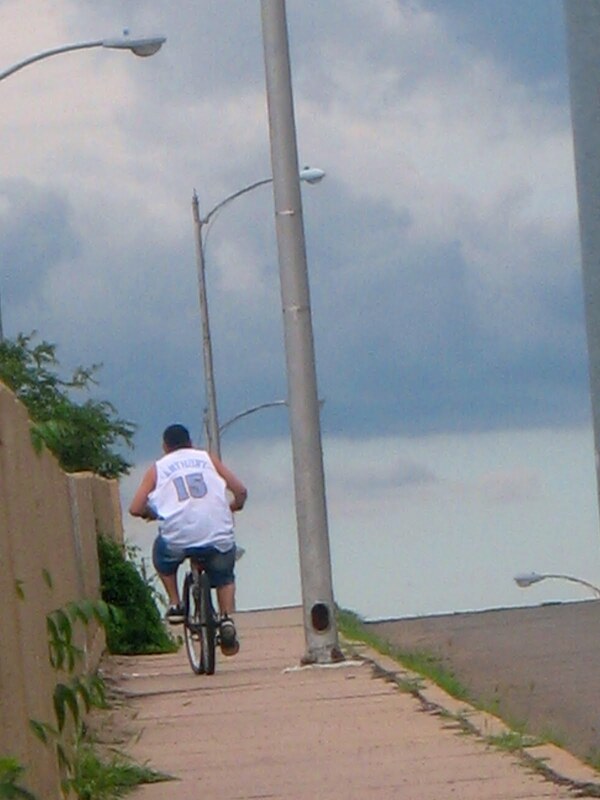 Do celebrities even ride bicycles? Apparently they do. Check out this website to find celebrity bicycle commuters. Neil Peart (drummer and lyricist for the rock group Rush) has bicycle toured in several African countries and wrote about one of these tours in "The Masked Rider." Albert Einstein (scientist) said, "Life is like riding a bicycle. To keep your balance you must keep moving." 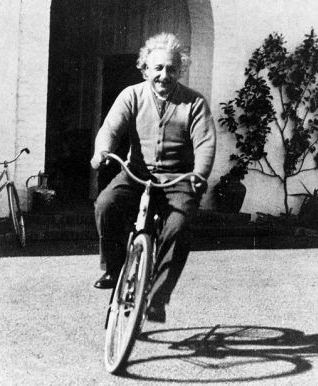 Early in his schooling at Munich University in Germany, he would take bicycle tours with fellow scientists to contemplate the world at large. And during his final years, while at Princeton University during the early 1950s, when the automobile was the mode of transportation du jour, Einstein chose his trusty steed over any other modern engineering marvels.